Lobby: New Jersey City, NJ, West District Precinct. 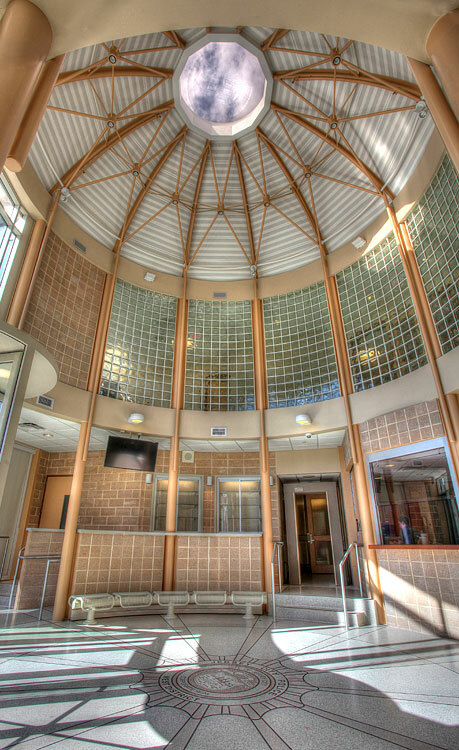 For over a quarter-century, The Goldstein Partnership has been a leader in the design of Emergency Response facilities, including Police Stations, Fire Stations, and training facilities for First Responders. 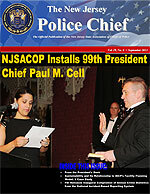 We have designed more Police facilities than any firm in New Jersey. See our client list below. 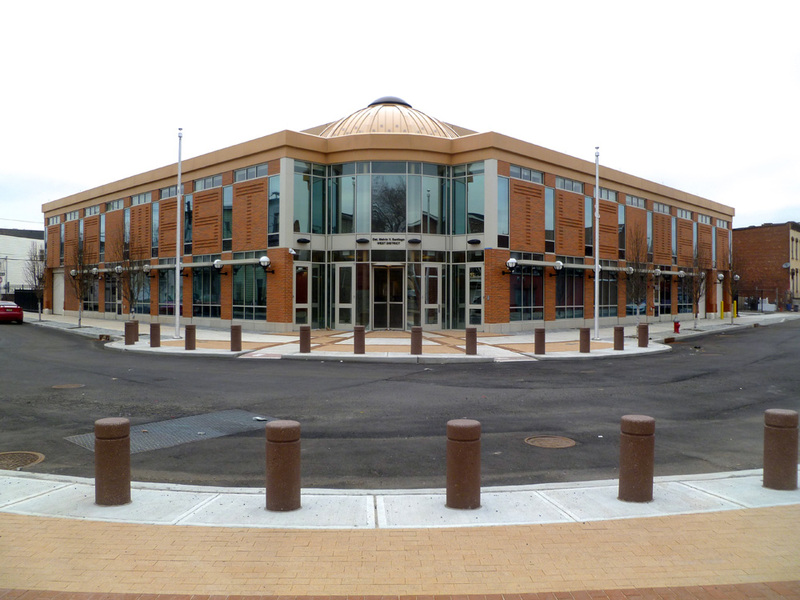 Among our notable projects is the Maplewood Police & Court Building, the first LEED-certified municipal building of any type, in the State of New Jersey (LEED Silver). It includes a state-of-the-art 911 Center, an indoor Firing Range, and a host of energy-saving features. Emergency Response facilities must satisfy a wide range of requirements specific to their occupancy, including enhanced seismic resistance, as well as a dizzying array of mandatory functional adjacencies. Our expertise in the relevant codes and standards enables us to accommodate these requirements seamlessly and cost-effectively. Police buildings have a unique combination of requirements. They typically contain a mix of uses, including offices, places of assembly, and detention facilities. They must accommodate a mix of users, including the public, uniformed personnel, civilian employees, and detainees. Their departments operate on a variety of schedules, with key functions operating round the clock. They are repositories of important records, and, as such, are critical to the integrity of the chain of custody for property and evidence. They house weapons and ammunition. Their must meet extremely stringent structural, mechanical, and electrical standards. And finally, their radio, security, and telecommunications systems must be reliable and secure. No matter the complexity of the Building Program, our Emergency Response facilities are organized in ways that their users find easy to understand, navigate, and manage. Perhaps most importantly, our buildings enhance the performance of their occupants, helping minimize response times and otherwise improve public service. "Mr. Goldstein demonstrated great skill in translating our needs into functional designs." "It is without reservation that we recommend The Goldstein Partnership for any project that you may be considering. We are truly pleased with the design of our new Police Department building, but more importantly, our experience has been highlighted by a courteous, responsive and professional team." "Their meticulous planning and execution will yield decades of additional service from the Mahwah Police Building." "Our firehouse is highly functional. The building’s clear and simple organization contribute to the productivity of my staff. In addition, the design of our firehouse contributes significantly to the architectural character of our municipality." • Union County Police Dept.